Please type the child's full name and age. 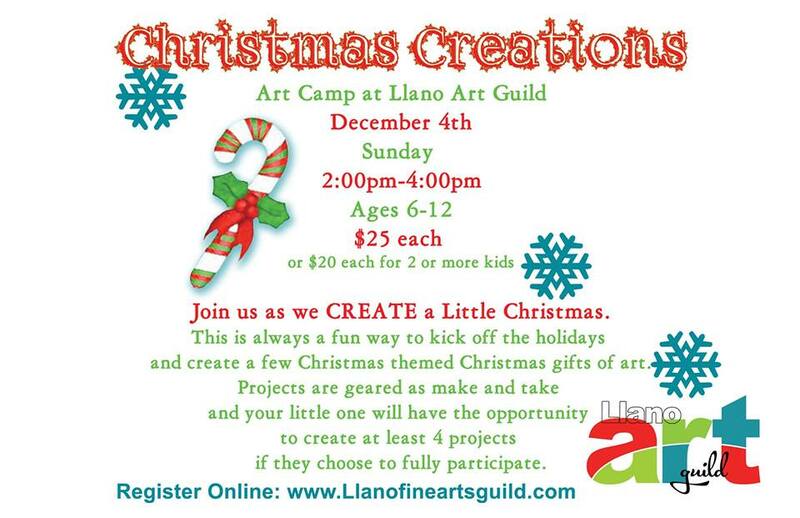 Join us as we CREATE a Little Christmas. This is always a fun way to kick off the holidays and create a few Christmas themed gifts of art. Projects are geared as make and take and your little one will have the opportunity to create as many as four projects if they choose to fully participate.